With e-signatures, your business will truly become paperless. Even the optimum paperless operations can be brought to a sudden halt if a document needs signing. The process of signing usually means that a document needs to be printed out, signed and then scanned in order to be put in the mSef e-storage or stored in the archive cabinet. 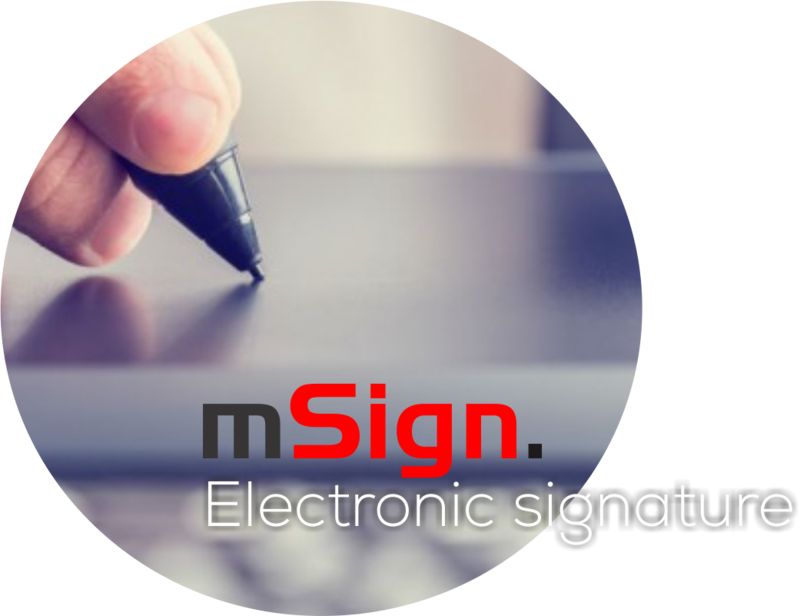 Choose the mSign electronic signing device, a technologically accomplished and secure, tried-and-tested solution suitable for anyone deciding to completely eliminate paper from their operations, even when it comes to signing important documents. With mSign, you can achieve tremendous savings in operating costs, while also complying with statutory requirements regarding security, and preventing any subsequent denial of credibility as well as any unauthorised interference in the already notarised documents. certified signature rendered invalid upon each subsequent alteration of the document. Contact us if you are interested in mSign!